Tiring of the annual two-week break in a Med hot spot? Fed up with overcrowded resorts with no room to move? Then how about a real get-away-from-it-all holiday with plenty of space – in space? 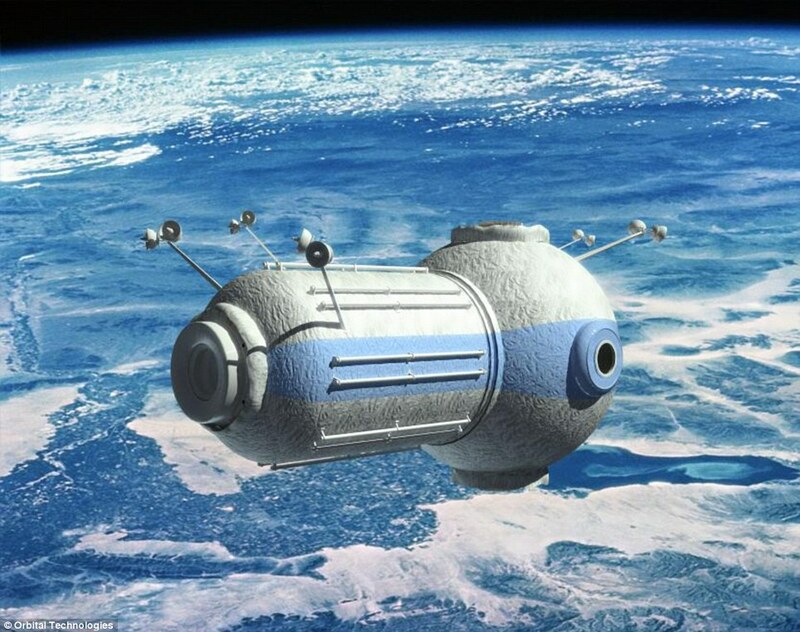 Russia yesterday announced plans for a hotel in orbit 217 miles up which would house seven guests in four cabins and have huge windows for views of the Earth turning below. 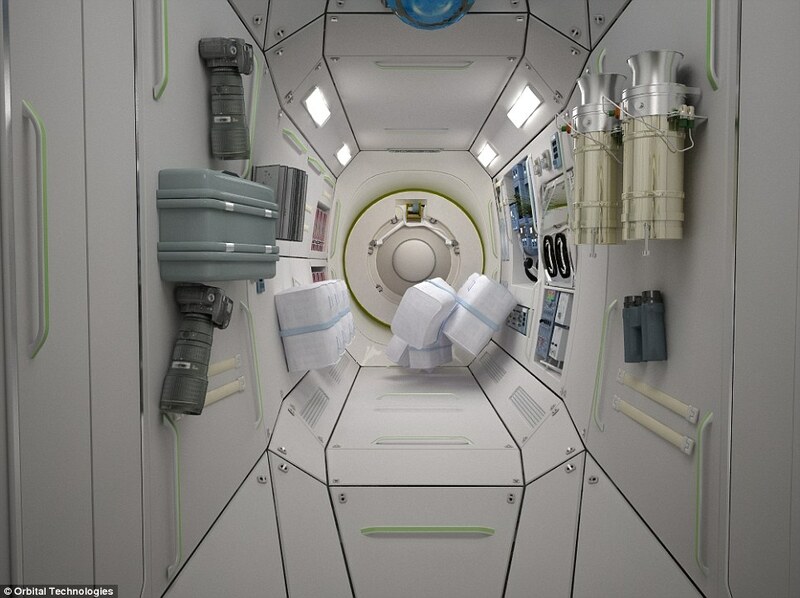 In the weightlessness of space, visitors can choose to have beds that are either vertical or horizontal, while showers will be sealed affairs to stop water going where it shouldn’t (those aboard the International Space Station must make do with sponge baths until they return home). Tourists, who will be accompanied by experienced crew, will dine on food prepared on Earth and sent up on the rocket, to be reheated in microwave ovens. The plan is to do away with the freeze-dried tubes of nourishment given to astronauts and replace them with delicacies such as braised veal cheeks with wild mushrooms, white bean puree, potato soup and plum compote. Just getting there will be an adventure in itself – it will take two days aboard a Soyuz rocket – and it won’t exactly be a budget holiday: A five-day stay will cost you £100,000, on top of £500,000 for your journey. 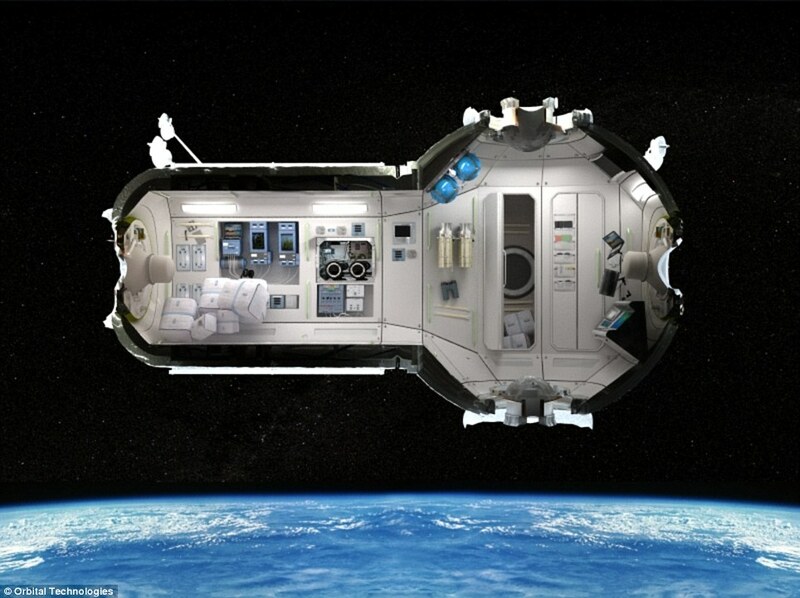 The hotel, or the Commercial Space Station to give it its proper name, is due to open by 2016 and, according to those behind it, will be ‘far more comfortable’ than the International Space Station used by astronauts and cosmonauts. Iced tea, mineral water and fruit juices will be available, but alcohol will be strictly prohibited. Toilets will use flowing air instead of water to move waste through the system. Waste water will be recycled, while the air will be filtered to remove odour and bacteria and then returned to the cabin. 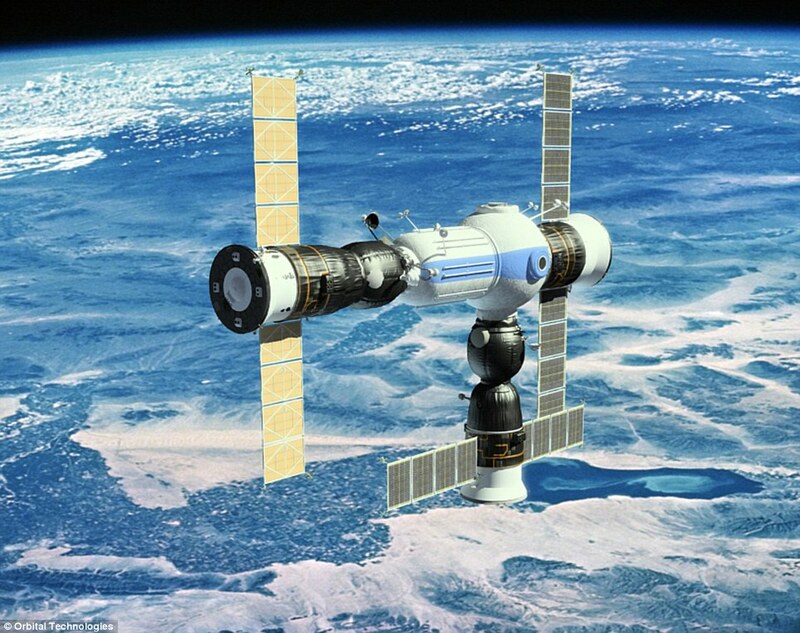 Sergei Kostenko, chief executive of Orbital Technologies which will construct the hotel, said: ‘Our planned module inside will not remind you of the International Space Station. A hotel should be comfortable inside, and it will be possible to look at the Earth through large portholes. 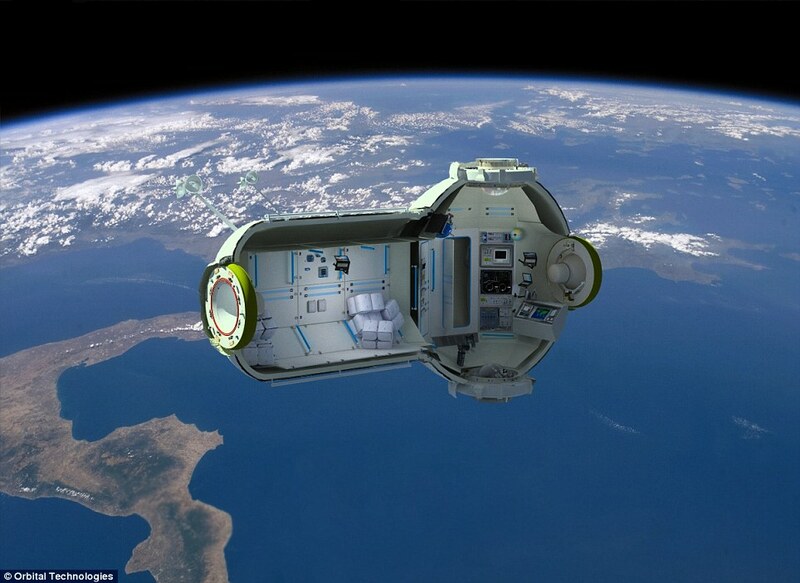 Tourists might also find themselves playing host to unexpected guests – there is a plan for the hotel to be used as an emergency bolthole for astronauts aboard the International Space Station if there is a crisis, rather than bringing them all the way back to Earth.